The EVGA SuperNOVA 1000 G1 has arrived! 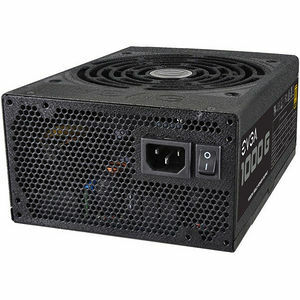 This power supply is 80 Plus Gold Rated, offers 1000W of continuous power, exceptional efficiency and is fully modular. Not to mention, a first class 5 Year EVGA Warranty. Designed with enthusiast needs in mind the EVGA SuperNOVA 1000 G1 power supply is the best choice to power this and next generation enthusiast computers. Take your system to the next level and power up with the EVGA SuperNOVA 1000 G1!